Steak night at Ego Mediterranean. Steaks from £10 every Tuesday. 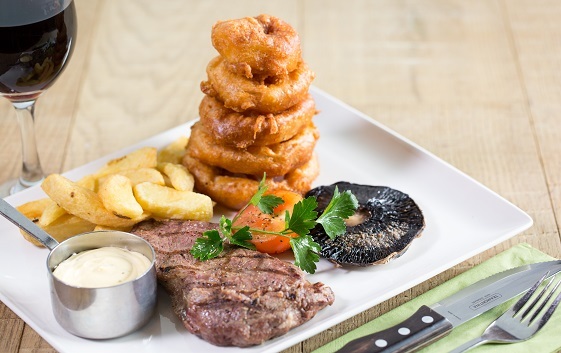 Choose one of our delicious cuts of steak to be either pan fried or grilled, served with hand cut chips, onion rings, grilled tomato & sautéed mushroom from only £10. Choose from: 225g Prime Rump £10, 200g Sirloin £10, 225g Ribeye £12, 340g Prime Rump £16 or 200g Fillet £18.